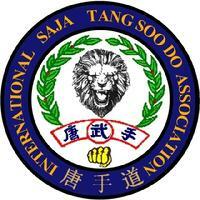 Tang Soo Do literally translates to " the way of the China hand ". The founder of Tang Soo Do is Grandmaster Hwang Kee. The style is very similar to Japanese Shotokon Karate and many of the forms are the same. The style is a mixture of both hard and soft techniques. The one aspect of Tang Soo Do that sets it aside from other arts is the kicking techniques. Like it's sister art, Tae Kwon Do, Tang Soo Do incorporates many jumping and spinning kicks. Tang Soo Do can be used as a very practical self-defense art, or for overall good health and fitness. 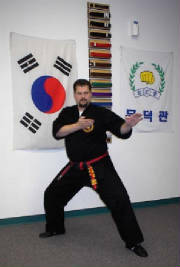 •Certified in HanKikMuKiDo through the Korean Martial Arts Assoc. Tang Soo Do 5 DVD Set, all requirements to 1st Dan Black Belt. Now only $99.95, free shipping ! Save $40 ! Or order the new TSD Adv. Rank DVD's, 2nd, 3rd, 4th & 5th Dan. $100.00 w/free shipping !